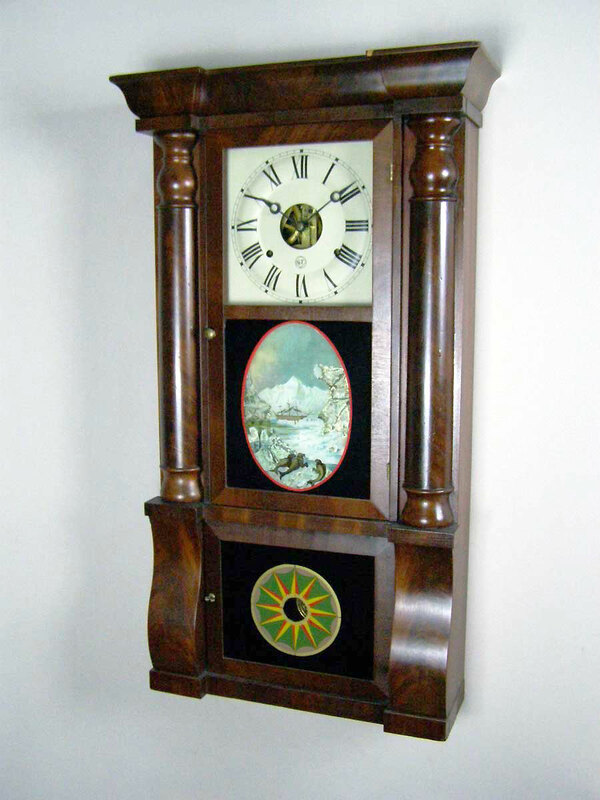 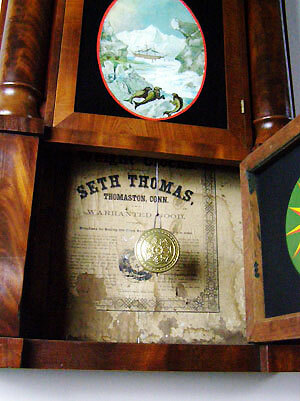 This is an American shelf (or wall) clock with original label by Seth Thomas. 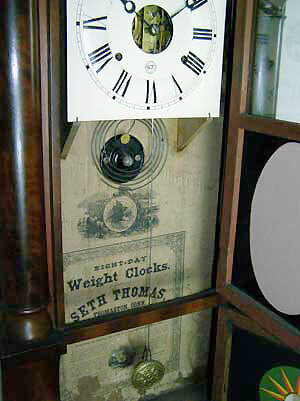 The weight-driven, eight-day movement strikes the hours on a gong. 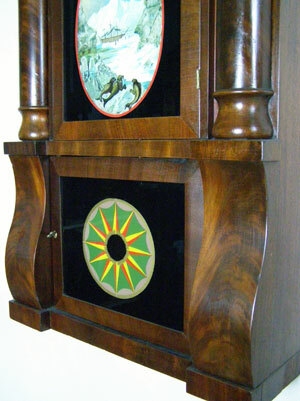 A central glass panel depicts an aesthetic scene. This clock is in a fine original condition.